Paul Jones is a world renowned expert in Chronic Obstructive Pulmonary Disease (COPD). His PhD was in the control of breathing, but he them moved into symptom measurement. He developed the St George’s Respiratory Questionnaire (SGRQ), the Chronis Obstructive Pulmonary Disease Assessment Test (CAT) and the EXACT exacerbation diary card, among others. Paul’s current research concerns the effect of COPD on cognitive function and brain structure and function. Before his appointment as Global Medical Expert for the Global Respiratory Franchise at GSK in August 2015 he was Professor of Respiratory Medicine at St George’s, University of London in London, UK and honorary consultant physician, St George’s University Hospitals NHS Foundation. He has been involved in many clinical trials, particularly in COPD, and was on the Steering Groups of both ISOLDE and TORCH. He established the Cochrane Airways Review Group and was its first Coordinating Editor. He is the Co-editor of the Clinical Respiratory Journal and Associate Editor of the Journal of the COPD Foundation and on the Editorial Board of Chest. 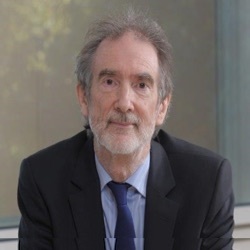 He sat on the BTS/SIGN Asthma Steering Group and until joining GSK was a longstanding member of the Global Initiative for Chronic Disease (GOLD) Science Committee and the GOLD Board of Directors. His management experience includes being R&D Director and Medical Director of St George’s, Head of the Division of Clinical Science at St George’s, University of London and Chair of the London (South) Comprehensive Local Research Network.